There is a problem that Vince Carter, LeBron James, Kobe Bryant, and Allen Iverson all suffer from in relation to their legacy. They came after Michael Jordan. It will not matter how great they were or are in their careers, all are destined for the hall of fame, they and their legacies will inevitably be talked about in terms of being Jordan’s heir apparent. The reality is none of them were Jordan’s heir apparent because no one was ever going to be able to live up to the standards of one Michael Jeffrey Jordan. Six NBA championships, two three-peats, taking two years off to play baseball, countless scoring titles, and a shoe that over a decade after his last game is still clamored for by youth who were not even born when he retired. In technology, Steve Jobs’ legacy cast an even bigger shadow than Michael Jordan and it might ultimately bring down the company he co-founded in his parents’ garage and yes, it is all his fault. I have always been wary of organizations and businesses where there is a leader and not leadership. That is too say that if I name an organization/business and what comes to mind is an individual and not a culture there is a problem. Steve Jobs was bigger than Apple much in the way that Warren Buffett is bigger than Berkshire Hathaway. The problem is not when these leaders are at the helm, but when they are no longer part of the organization it leaves a void that is often insurmountable to anyone coming after them. We have seen this become more apparent at Apple since Jobs’ death and the vacuum seems to be only getting larger. Apple is a luxury brand because of its quality and price point. Outside of NEXT, Apple has never been a major acquisition company. If it did acquire a company it was small and erased all signs of that company’s previous brand at acquisition. There have been red flags of Apple losing its way for awhile, but many of us tried to simply look the other way. This is the company that Steve built and we all assumed that they will just figure it out. Steve’s presence or lack thereof can not be that major, right? Right? First, you had the release of the IPhone 4c which was suppose to give Apple entry into a cheaper price point. Wait, what? Cheaper? Apple should have asked Mercedes how going cheap works out for a luxury brand’s image. Mercedes introduced its under $30 000 model and quite frankly it is just a sad sight. Arguably, it has allowed other brands to catch up because you are producing a price point and quality not in your expertise. Next, there was the dividend that you wonder if Jobs would have ever approved, especially if it meant caving to activist investors like David Einhorn and Carl Icahn. Then, there was the IPhone release with the bigger screen, but basically nothing else of consequence. Truthfully, Apple has enough cash to make this a very long drawn out demise, but it is a demise no less. It has gone too far from its cultural center. I once said that Apple needed to hoard its cash because it could be the thing that saves it from having to go through the pain that IBM went through facing extinction (bankruptcy) in 1993 as it tried to reinvent itself. It can not be stressed enough how hard it is to turn companies the size of Apple today and IBM yesterday around when things start going in the wrong direction. A strong resource position is vital to the ability to its future survival. Especially if Tim Cook continues to try and leave his mark on the company. The potential buzz of Apple buying Beats Electronics was the nail in the coffin that left me without any doubt that this company is falling apart internally coupled with the aforementioned question marks. 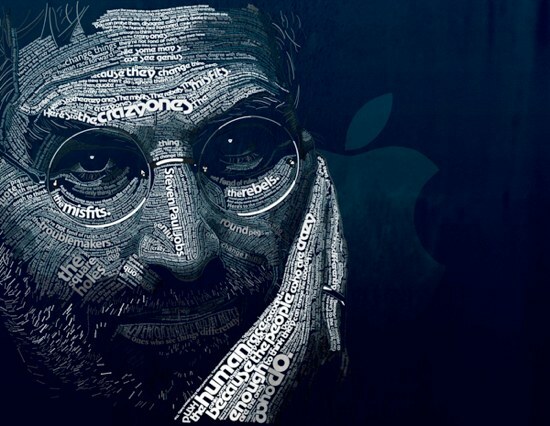 The stern hand of Steve Jobs is missed. He would run you into the ground to produce greatness and often did. Steve Jobs reminds me of my trainer in fact. Demanding as hell and you hate every exercise he puts you through, but you can not help but have a smirk at the results. The company who lost its way when Steve was ousted and only saved by “acquiring” his NEXT software and reinstalling him as CEO. It had a culture centralized to Jobs to the point where I wondered if he assigned bathroom times for every single employee in the company down to the groundskeepers. Truth be told is that it appears it was centralized and he liked it that way and would have it no other way. From everything you read and interviews you see, it was in his personality to have it no other way. He did not do customer inquiries because customers have no idea what they wanted until Steve gave it to them one analyst joked. Shareholders knew to be quiet and hold their shares. Neither David Einhorn or Carl Icahn would have had the courage to challenge Steve Jobs. I am not sure really anyone did. Why would you? You do not need to question a man who is considered one of the greatest visionaries of our time. Again, that all works fine so long as you have the key to eternal life. I joked with someone recently even prior to the Beats rumor that what Apple should have done is put Jobs’ brain in an android. This company’s culture is built on having a taskmaster and unfortunately Tim Cook is not that man. Tim Cook is trying to not feel beholden to Steve Jobs’ ghost, but it is as inevitable as the comparisons between LeBron James and Michael Jordan despite the fact they are such different players. It is like the old adage goes comparing apples and oranges. In another company or Apple era further removed from Steve Jobs, Tim Cook might be a great CEO, but at Apple succeeding Jobs is not just hard, it is impossible. Steve’s DNA is too engrained in the company and it simply can not function without his stern hand. If I were investing in Apple today it would be simply on the strength of the dividend and their cash. This current rumor which if it were not true, then Apple has done a poor job of distancing itself from it. Again, it has not been confirmed, but we all know where there is smoke there is fire. I have yet to find anyone who finds this deal good for Apple – myself included. Richard Branson even went so far as to joke that maybe this was Apple’s way of “giving back” to all the artist it crushed with the advent of ITunes. Aside from the obvious culture clash that seems present with these two companies it highlights more and more that Apple is void of the compass that produced the innovation that changed the paradigm of technology’s impact on the world. Apple is a company that is not even forty years old, but has gone through a lot in its short life on its way to becoming one of the world’s most valuable companies. It is hard to imagine a time when Steve Jobs’ ghost will not loom over this company, but its very survival might hinge on exorcising the ghost of Steve Jobs and laying the culture of what was to rest once and for all. This entry was posted in Business and tagged apple, beats electronics, dr. dre, jimmy iiovine, steve jobs. Bookmark the permalink.